While out looking at Christmas lights in our little town on the Eve of Christmas Eve, we spotted this sweet display. The beautifully done nativity at our local Baptist church. And, on a nearby lawn, a real, live Charlie Brown tree… more sweetness. 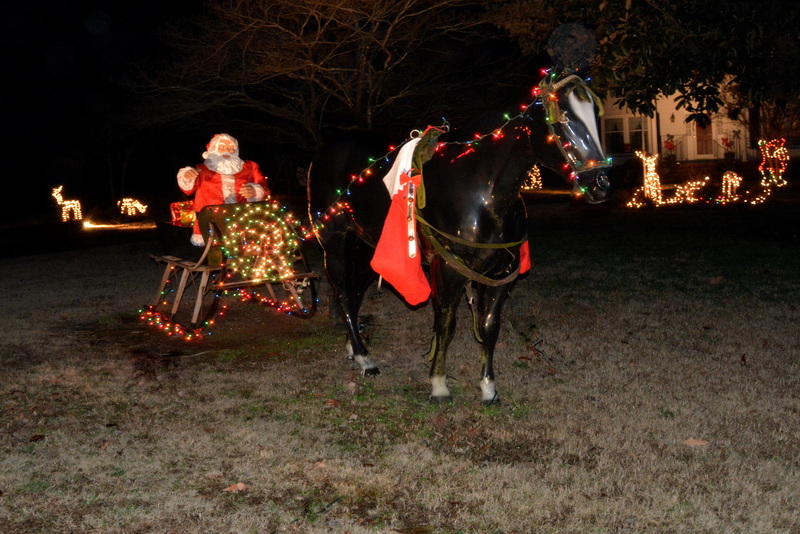 In another neighborhood, my kind of Santa and sleigh: one pulled by a horse. 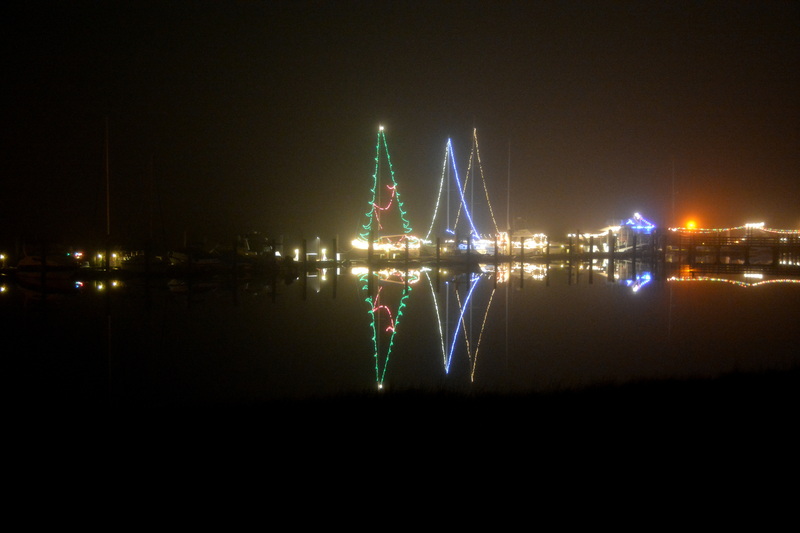 We returned home as fog was rolling in over the marina. Today will be busy into the evening as we visit and celebrate with our families, so there may not be a post tomorrow. Merry, Merry Christmas to all of you from all of us: Motor Man, Marshall, Sundae, Gypsy and me. This entry was posted in Family, Traveling Days and tagged charlie brown tree, horse and sleigh, marina in fog, nativity. Bookmark the permalink. Merry Christmas to you all Dianna! May you have the bestest of days! Wishing you a Merry Pigmas from the Hutch! Merry Christmas!! We’ll see you later! I loved each photo as you took us around town with you. May you enjoy your day with family! ….And Merry Christmas to you. Beautiful settings for the season. Warm holiday wishes, to you are your family!! Oh that is a beautiful nativity at the church and I love the Charlie Brown tree someone had on their lawn – CUTE! Hope you all have a wonderful day today and that Santa was VERY good to all of you……. I saw some of these when I was in town visiting last week. Deborah took us for a drive all over Smithfield. The nativity was beautiful! Merry Christmas! Merry Christmas from the Dunns! I like the Nativity and Charlie Brown tree. Merry Christmas! Merry Christmas! Thanks for sharing these beautiful sites with us. 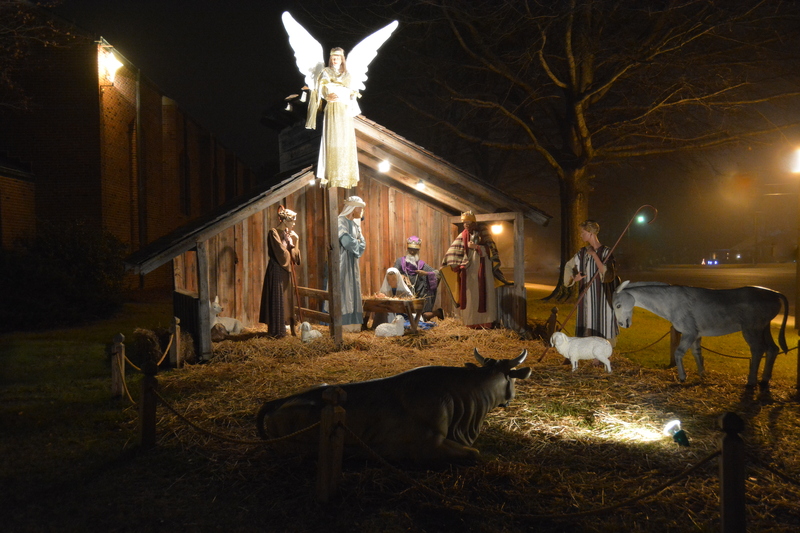 That Nativity scene was gorgeous – I had to look twice,I thought the cow was real! Wow your photos are fabulous. Love the fun and beautiful Christmas lights and decorations. I hope you all had a wonderful Christmas full of joy and happiness. These photos are particularly beautiful, Dianna. Thank you. I hope you had a wonderful Christmas. What a beautiful community. 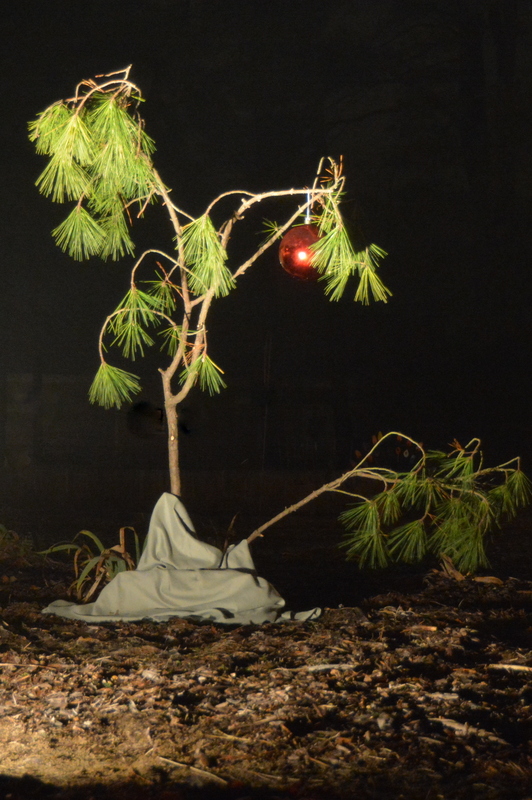 It looks like everyone had the spirit, and the Charlie Brown tree is adorable.